Dry skin certainly isn't limited to the winter months, but the cold temps tend to exacerbate the chronic condition. (Though, anyone with eczema and psoriasis can attest that flare-ups can occur even in the dead of summer.) Typically, the first course of action is to reach for the closest lotion and slather it on. This might give you short-term relief, but to keep itchiness, flakiness, and scaliness at bay, you'll have to use a heavier-duty body moisturizer on a regular basis. With that in mind, we've rounded up the top-rated intense body lotions that are meant to repair dry and damaged skin. From calming formulas to hydration powerhouses, each pick has a particular strength, so check out our list below and choose the right one for your skin. Vaseline has patented the Barrier Repair Complex, a compound meant to strengthen the barrier of your skin naturally in order to keep in moisture. 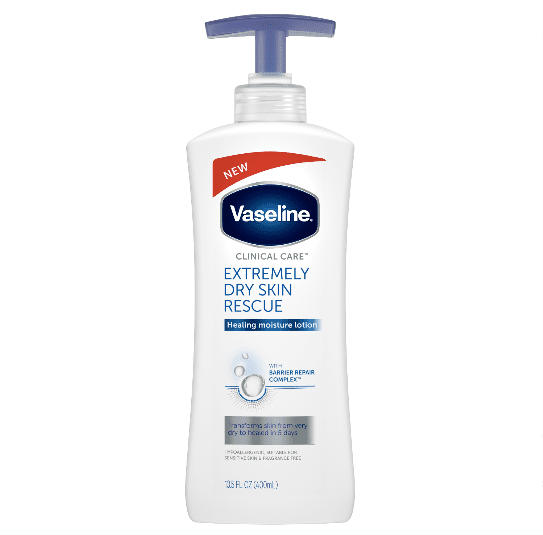 The new Extremely Dry Skin Rescue formula is the strongest hydration product from Vaseline on the market, which promises to relieve dry, sensitive skin without any greasiness. The blend of ceramides, fatty acids, and botanical cholesterol are just a few reasons this lotion’s brand promises to fix your dry skin. 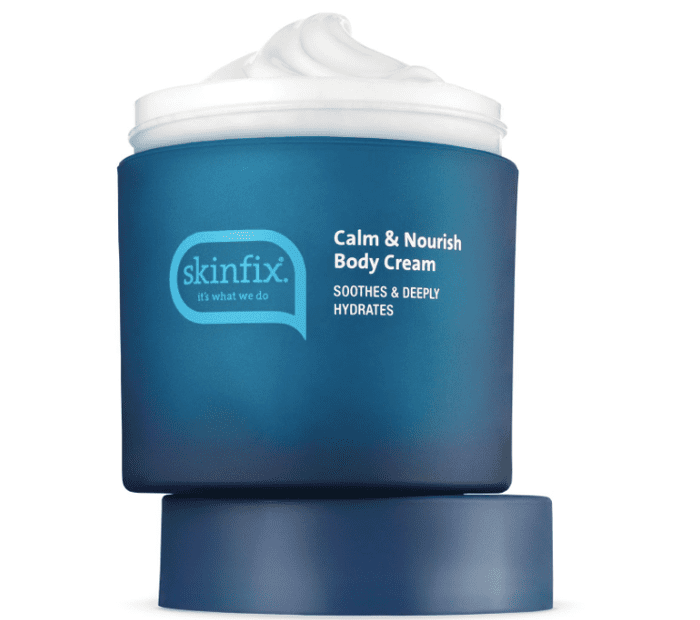 The Calm and Nourishing Cream from Skinfix utilizes oatmeal to prevent flare-ups and several butters to hydrate your sensitive skin most effectively. 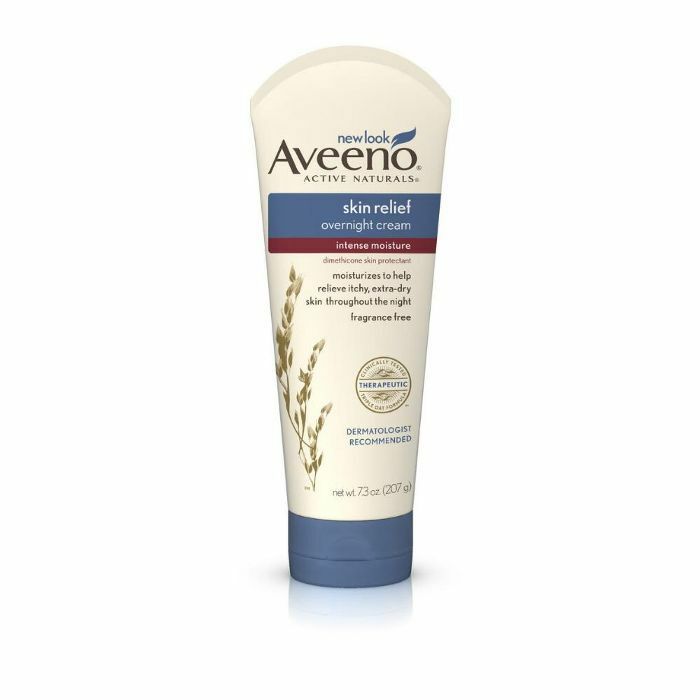 The calming oat formula from Aveeno is known as Triple Oat Complex, and you can expect plenty of it in the brand's overnight cream. When applied before bed, the lotion is able to repair dry skin while you sleep, which will make waking up that much easier. Malibu-based Kayo Better Body Care created this luxurious body cream meant for deep hydration. All Kayo products are safe to use on both the body and face, so you know the ingredients are high-quality. They include copper peptides and hyaluronic acid alongside the brand's patented omega-oil blend to improve the appearance and texture of your skin. 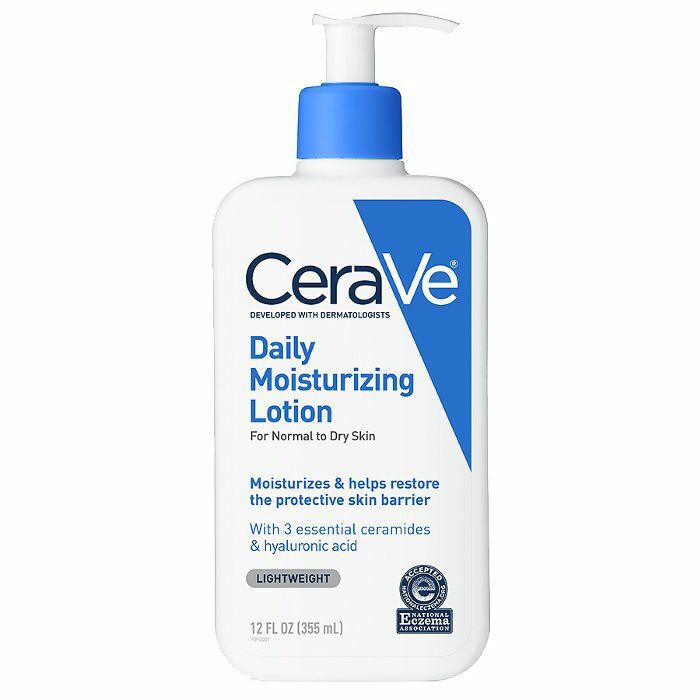 Named after reparative lipids known as ceramides, CeraVe takes a more specific approach to healing dry skin. Ceramides restore the barrier in your skin, and in the brand's signature moisturizing lotion, they work together with hyaluronic acid to strategically heal dry skin for 24 hours. 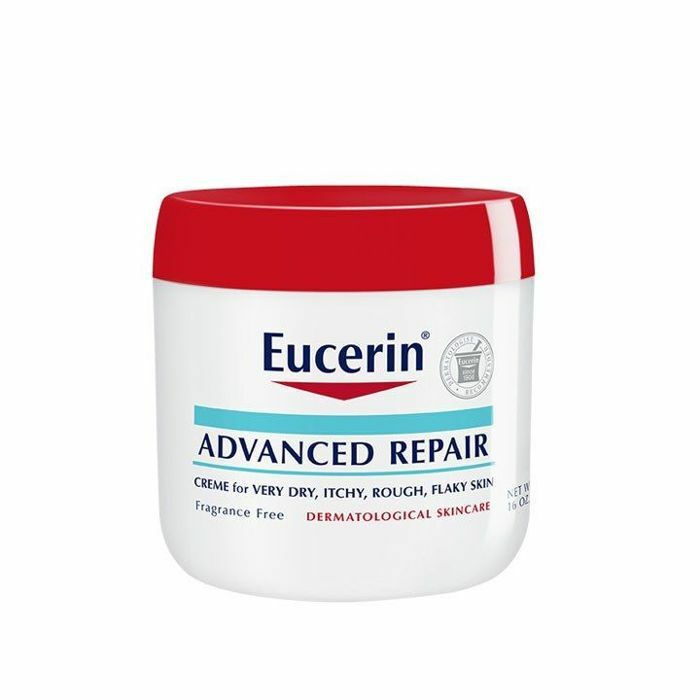 Shea butter and urea are main ingredients in the Eucerin Advanced Repair Lotion. The former element helps nourish skin while the latter is used to break down proteins. For your skin, this means that it will exfoliate and moisturize problem areas at the same time. 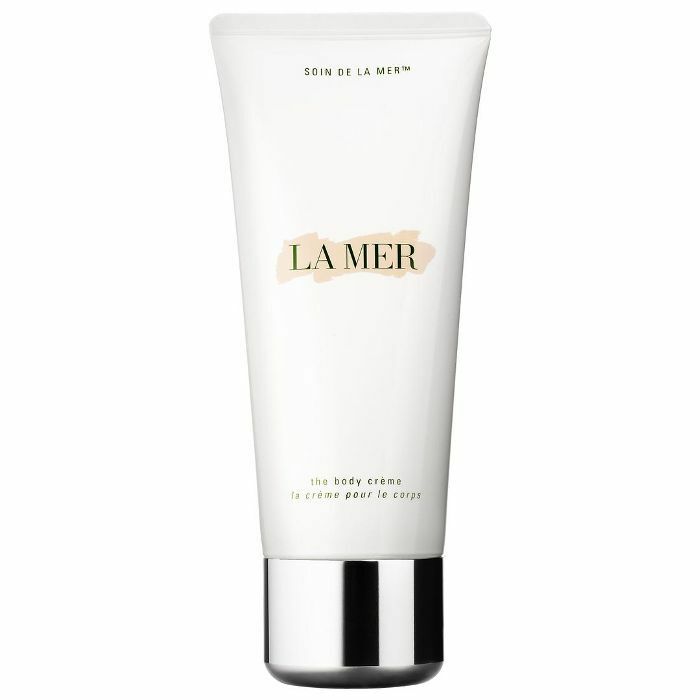 Every product from La Mer is principally derived from properties known to help regenerate giant kelp, which comes together in what it calls the Miracle Broth. 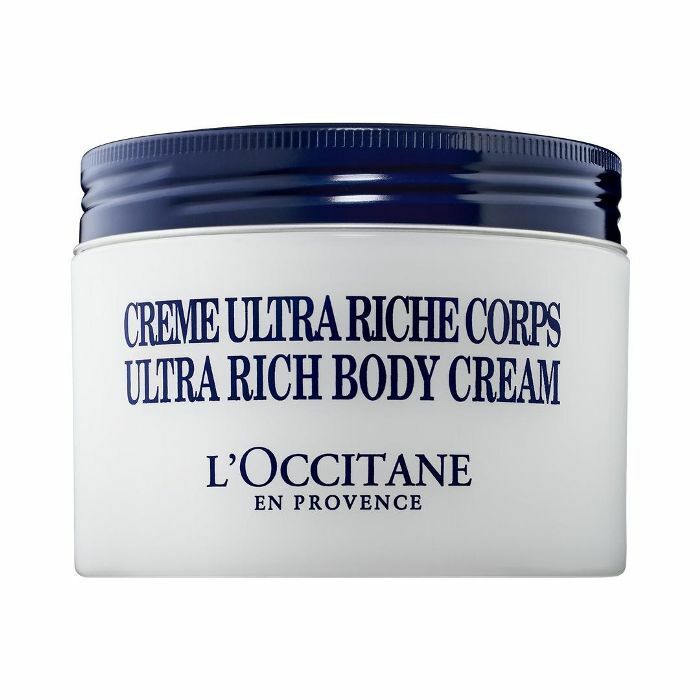 Its luxurious Body Creme also contains fermented blue algae, which helps make firm and tone on the body. 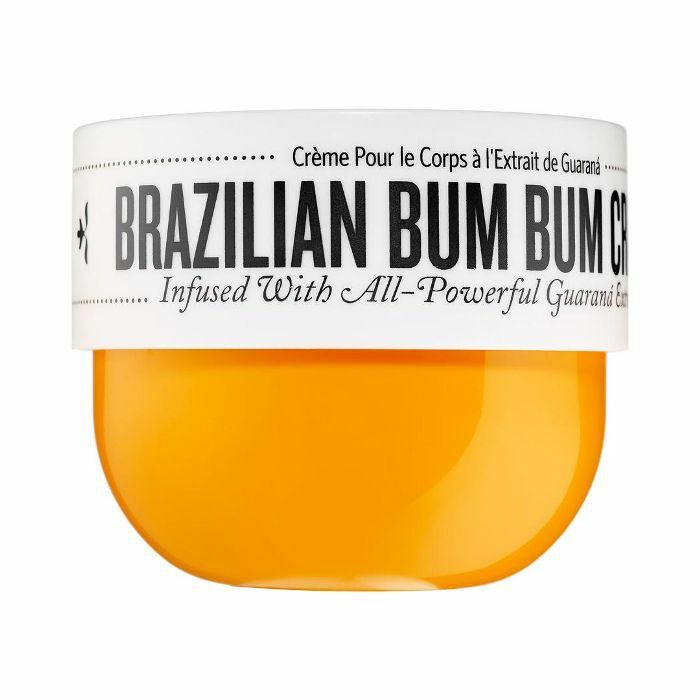 Pronounced “boom boom,” this Brazilian cream from Sol de Janeiro is sure to plump and moisturize your skin all over. It's made with guarana extract, which contains five times the caffeine in your morning coffee for ultimate tightening and a circulation boost. Brazilian oils and butters are also infused to make it as hydrating as possible. Prebiotics (seeds to help good bacteria grow in your gut) are just as important for your skin health as probiotics, which are the live "good" bacteria. 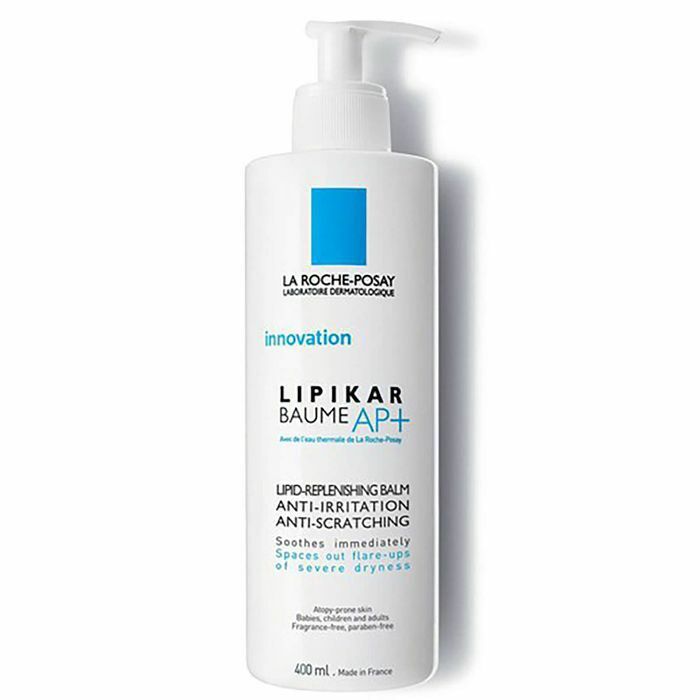 La Roche-Posay has diluted prebiotics and vitamin supplements to foster naturally healing cells. The brand has even been recognized by the National Eczema Association as an effective treatment for dry and rough skin. 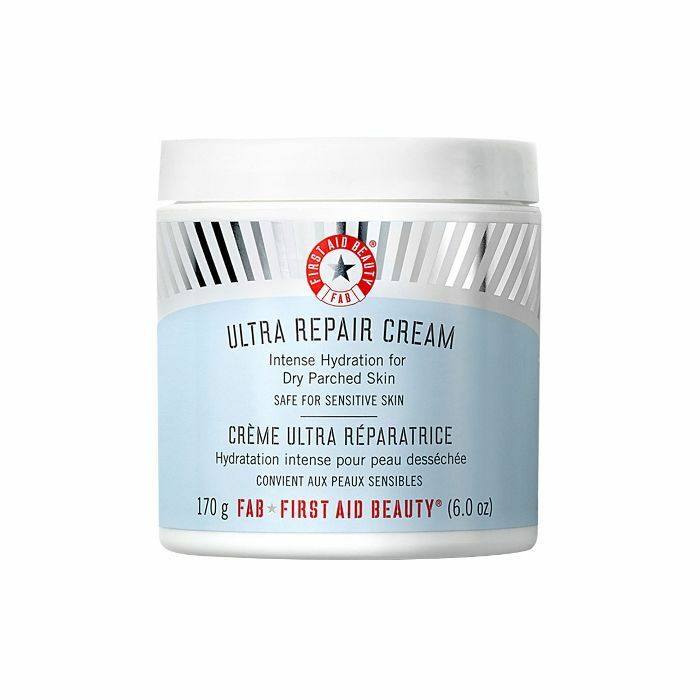 Oatmeal, shea butter, and ceramides come together in First Aid Beauty’s Ultra Repair Cream for complete and long-lasting relief. The brand has also included its Antioxidant Booster in the lotion’s formula, which protects against environmental factors and free radicals. The treatment is safe for all skin types, including dry and combination skin. This type of lotion translates to “body cream,” but it is effective anywhere—including your face. Cocoa butter and beta-carotene are rich ingredients that soften and feed your skin so you will stay hydrated longer. Kiehl’s uses squalane, a lipid found in olives, which makes it ultra hydrating. This is not your average shea butter lotion. L’Occitane has enriched the product with 25% shea, maximizing the effect of this miracle ingredient for dry skin. The company also made strides in preserving fair-trade deals for shea, which has been an important part of the lives of women in sub-Saharan Africa. 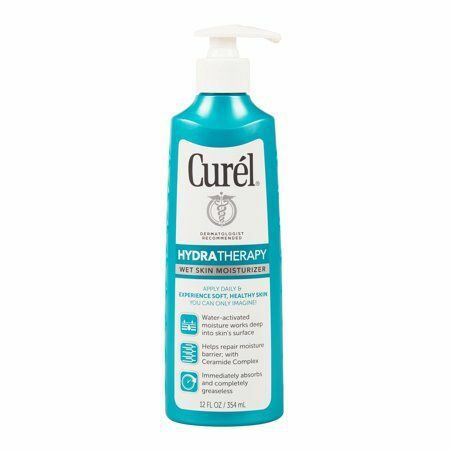 Most lotions cling best to dry skin in need for moisture, but Curél’s formula is meant to be applied right after the shower to lock in moisture. After a shower, your pores are open and more willing to accept the healing formula, which boasts a soothing mix of oats, ceramides, and vitamins. A slew of natural ingredients accounts for the healing properties of Ritual’s body cream. Himalayan honey will soothe skin while Indian rose hydrates. Both work together to improve your skin (and your mood). Click here for more body lotions for every skin concern.